As you know, we’re always working towards optimizing our application and user experience. Lately one of our highest priorities has been to improve the overall usability of the app and make everything work faster and smoother. In this update we have focused on following areas. 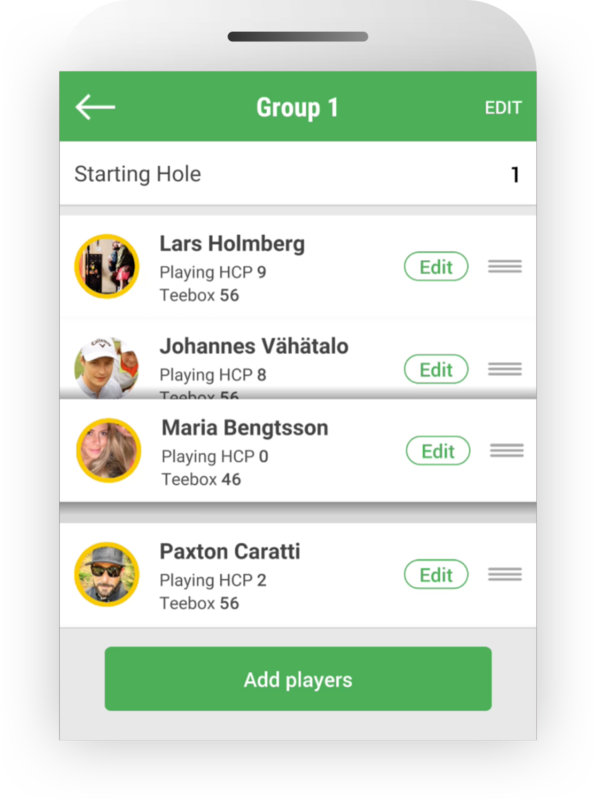 One of our main goals is to enable people to create stronger, more secure and more engaging connections through GameBook. As we move towards this goal, we have decided to change the logic how connections are established. This means that you will no longer be Following people but instead you will have Friends on GameBook. Friendships will be formed by sending a friend request that the other user has to accept. Current Follower-Follower relationships are automatically converted into Friend -connections. Sounds like a small change, but it will have a big impact in our future developments which we will be presenting during the next months! Setting up a game, that’s where it all starts from. 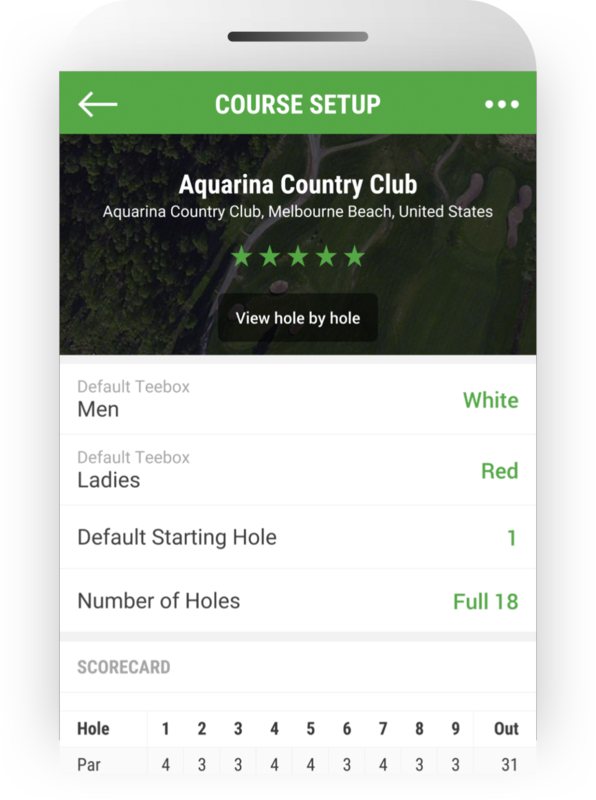 Selecting the course has gone through a facelift and you are now able to easily set default tee boxes for men and women as well as select a starting hole for your game. Managing players and groups is now also way more intuitive, faster and easier as we have changed the way you can add, edit and manage groups inside your game. These changes are made based on your feedback, so a huge thanks from us! Unleash the emojis! We have taken our text editor to the next level with native text input. Now you are able to edit your text without having to rewrite the whole sentence. We also updated all our emojis so that you are now able to use all your favorite emojis when commenting your friends lucky eagle or casual triple bogey. We also tweaked a few other things that we hope you will enjoy. We challenged our developers to make scrolling through content even smoother and faster, and we believe it’s taken a huge leap forward! We also wanted to tackle situations where you are on the golf course and suddenly lose your internet connection. From now on you can safely keep entering scores that will be stored locally to your device until you are reconnected to the internet. In older versions you may encounter some issues related to your Following/Follower lists so make sure to update your app to the latest version! Hey Kari, I hope you managed to update already. Usually when we release a new version it might take a couple of hours to be distributed across the world by Apple and Google. If you haven’t been able to update please contact our support and we will be able to sort it out for you. How do I cancle a round that is started but not finish? In case you ended the game, unfortunately you are not able to remove the game as it’s been completed. In case you want to remove the game, we can do this manually for you, but you need to get in touch with our customer service. Is there a requirement in terms of what kind of phone you have to play the game? Hi, our app works on both Android and iPhone. For Apple – iOS 10.0 or later. All the Google Play links go to the iOS app store. Don’t you have an Android version?